Jazz Icons DVDs feature full-length concerts and in-studio performances by the greatest legends of jazz; filmed all over the world from the 1950s through the 1970s. Beautifully transferred from the original masters; each DVD features rare performances that have never been officially released on home video and; in many cases; were never broadcast. Each DVD includes a booklet with liner notes; rare photos and a memorabilia collage. Produced with the full support and cooperation of the artists or their estates. 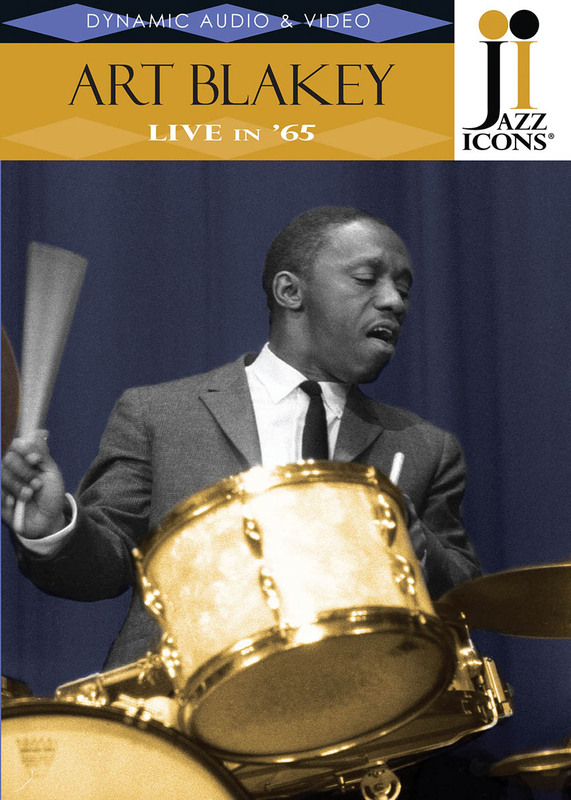 This DVD boasts an exceptional one-hour concert by Art Blakey from Paris in 1965. This performance showcases one of the few undocumented Blakey bands; the New Jazzmen; featuring the incomparable Freddie Hubbard on trumpet; as well as Jaki Byard on piano; Reggie Workman on bass; Nathan Davis on sax and; of course; Art Blakey on drums-truly a powerhouse quintet! Freddie Hubbard's incendiary playing on “Blue Moon” and the blistering 24-minute version of his own “Crisis;” serves as a cogent reminder that he was one of the most innovative trumpeters in jazz history. 60 minutes.